This was Blackberry Smoke’s first time to play Belfast with The Telegraph Building looking pretty full but first up were The Quaker City Night Hawks. 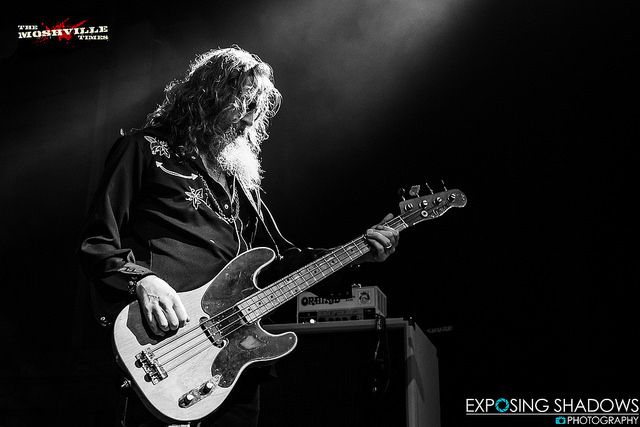 The Texan Quartet have been supporting Blackberry Smoke on all dates of the European tour. Playing a similar style of Southern rock, they kicked off the night’s proceedings. 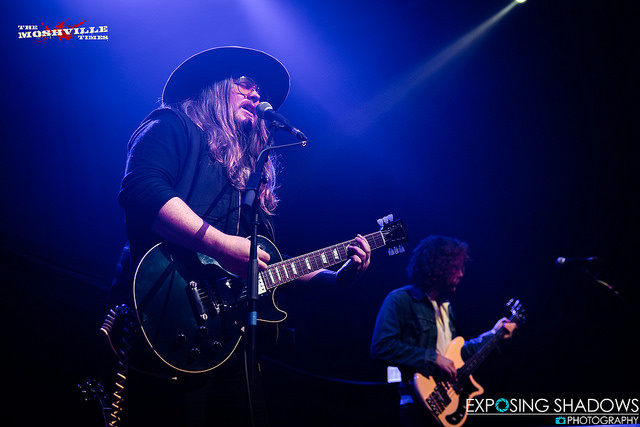 The band don’t seem to stray too far from a typical Southern rock sound but the twin vocals of Sam Anderson and David Matsler did create an interesting dynamic. Songs like “Rattlesnake Boogie” and “Beat the Machine” were enjoyable. Overall the pace of the set was pretty laid back and I imagine that it translates better to CD. As eager fans quickly made their way from the bar, the intro music started and the smell of incense filled the air. Having played well over 100 shows already this year, Charlie Starr and the rest of Blackberry Smoke are a well oiled machine. The first few songs contained heavy hitters “Fire in the Hole” and “Waiting for the Thunder” as the band settled comfortably into the flow of the evening. There was a brief pause to wish keyboard player Brandon Still “happy birthday” before breaking into “Rock and Roll Again” which, in contrast to the support band, sounds better than on CD. It’s grittier live, it gets feet tapping and people singing along. Charlie Starr doesn’t have much time to speak to the crowd during the set which was over 20 songs long but takes the time to thank the crowd for having the band in Belfast for the first time in his pleasant Georgia drawl. This receives a fantastic crowd response from the happy audience. They have reason to be happy, the music is uplifting, the harmonies make you want to sing along, to dance and to just generally have a good time. The remainder of the set takes us through the band’s career and included highlights like “Sleeping Dogs” (which included a cover of The Beatles’ “Come Together”) and, of course, “Up in Smoke”. By the time of the encore of “Ain’t Much Left of Me”, I think the majority of the crowd were already planning on how to see Blackberry Smoke again as soon as possible. 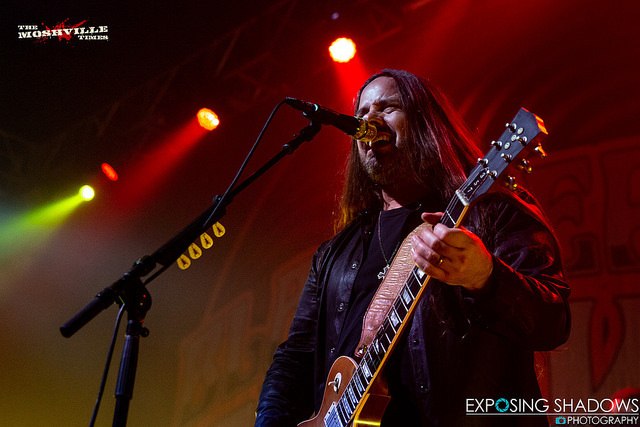 As the crowd began to filter out, one man murmured “Please come back,” towards the empty stage, showing that if a band are as good live as Blackberry Smoke, people will always want more.